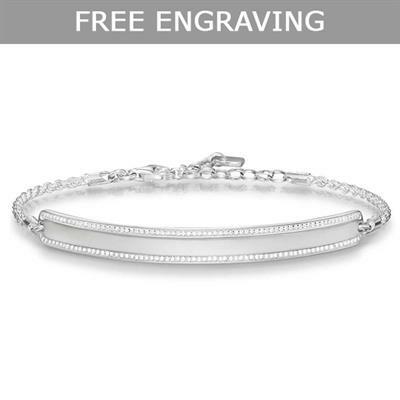 This beautiful bracelet is a delicate addition to the Love Bridge collection by Thomas Sabo. This feminine design is expertly crafted with 925 sterling silver and beautifully detailed with white cubic zirconia for a dazzling finish. Embracing the bar jewellery trend, this Thomas Sabo bracelet is a classic design that will never go out of trend.